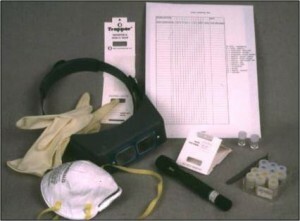 The ability to magnify and capture an image of trapped pests is helpful in obtaining a proper identification. The following digital USB microscopes have been found useful by members of the IPM-WG and the wider PestList community (listing does not imply endorsement). USB endoscopes with LED lights can be useful for examining hard to access locations. They can be purchased in 5.5 and 8.5 mm diameters.